Arsenal are ready to pounce for on-loan Lyon midfielder Tanguy Ndombele by making a £14m bid this summer, according to The Sun. 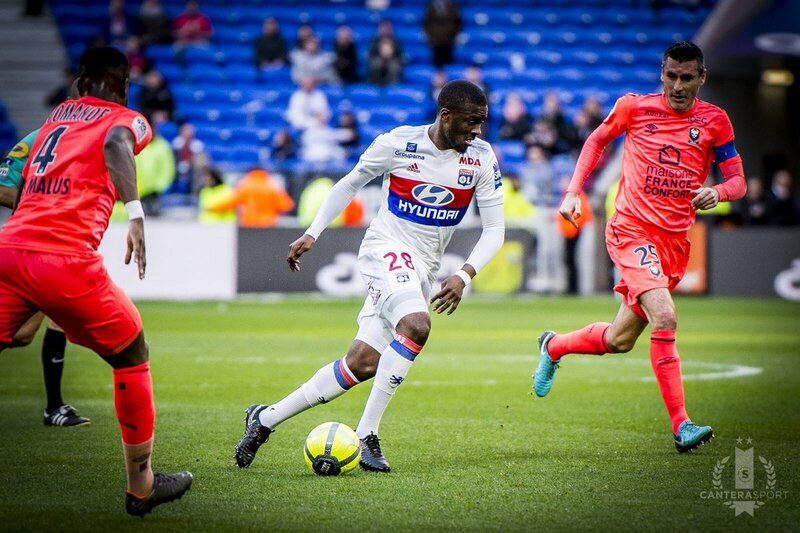 The 21-year-old has caught the attention during his impressive season with Les Gones, where the youngster is on loan from Ligue 1 rivals Amiens. The Frenchman has scored once in 39 appearances for Lyon in Ligue 1 and the Europa League, which is enough to earn links with a move to the north London outfit. The report suggests that the Gunners, who have already done business with the Ligue 1 outfit this season to secure the services of Alexandre Lacazette in a £52m deal, are now considering to return for Ndombele after scouting him up closely earlier this month. Lyon paid Amiens £2m to borrow Ndombele for a year with an option to sign the midfielder permanently for £7.2m plus add-ons during the summer.